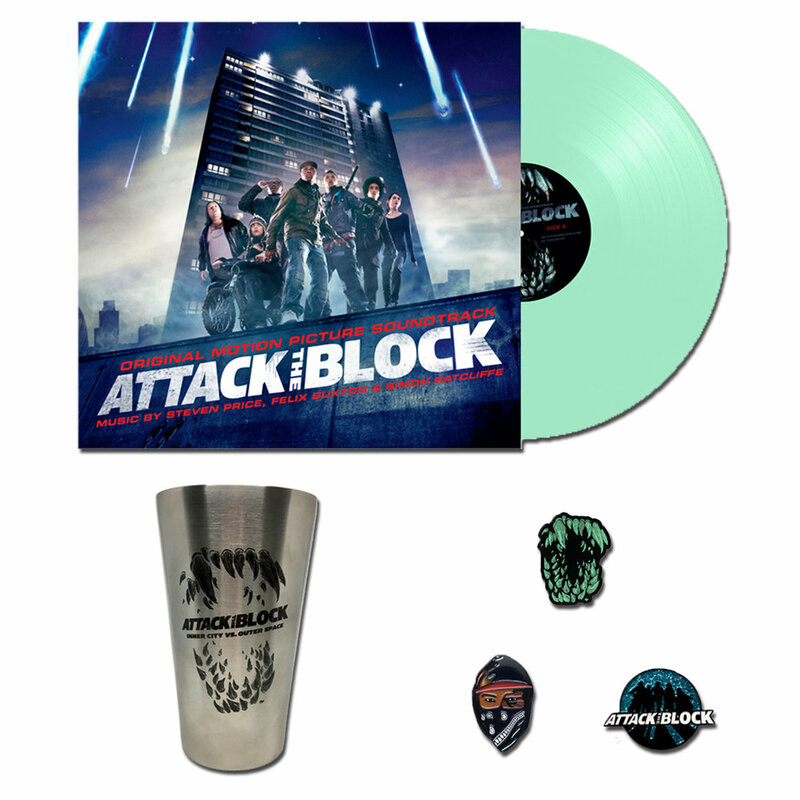 Attack The Block 2xLP now shipping this week! Now officially released, the soundtrack for Attack The Block on Glow-In-The-Dark 2xLP will now start shipping this week! This is the very first pressing of this score from Steven Price (Gravity, Fury, Suicide Squad) along side Simon Ratcliffe, and Felix Buxton from Basement Jaxx. Officially licensed Attack The Block enamel pins and Steel Pint glass also available through I Am Shark too! We are proud to announce the very first vinyl release of Attack The Block (Original Motion Picture Soundtrack) on 2xLP GLOW IN THE DARK vinyl. This 2011 Sci-Fi film was the breakout performance for actor John Boyega (Star Wars, Detroit, Pacific Rim 2) as well as Academy Award winning composer Steven Price (Gravity, Suicide Squad, Fury). The story follows a teenage street gang who have to defend themselves from predatory alien invaders. Pressed on Glow In The Dark vinyl 2xLP and Glow labels to bring the monsters back onto your very own turntable.